Looking to fill up your iPhone or iPad with free apps? Great deals are constantly popping up in the App Store, and here are 33 apps that are now free. 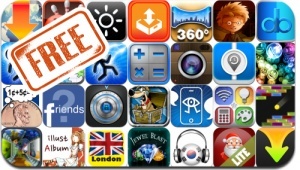 This apps gone free alert includes Tesla Wars, Oldschool Blocks, Tiny Toy Chest, Bowling Game 3D, Total Downloader, HD & Retina Wallpapers, Dayplus, Illust album, iMajiCam Pro, and many others.